Bristol-based Tovi Sorga has joined the growing ranks of companies offering wearable payment solutions. The company has launched leather contactless payment bracelets, which can be connected to any UK Visa or MasterCard debit or credit card. 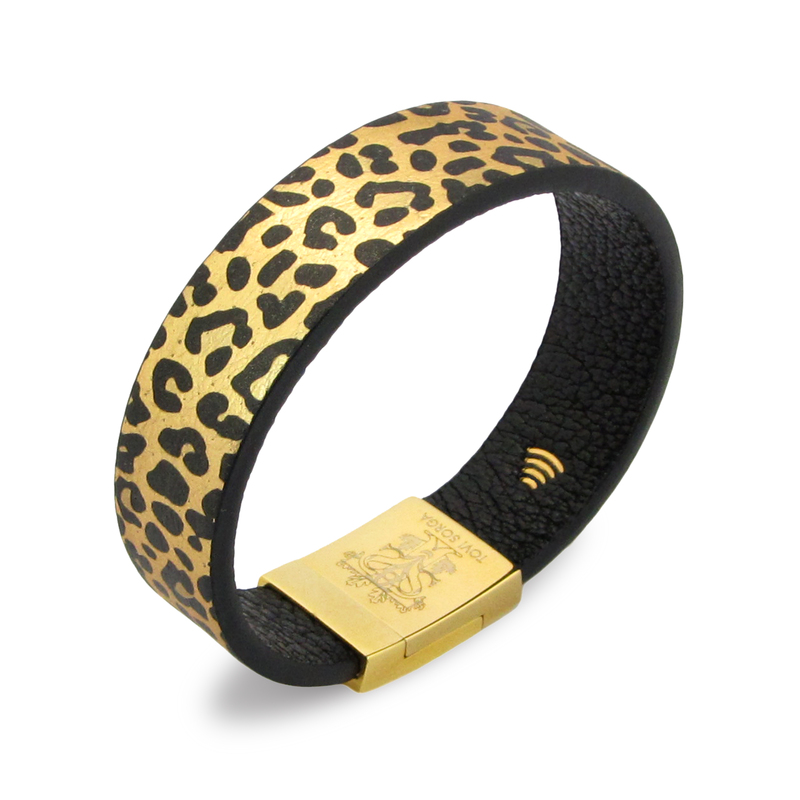 The technology behind the fashion is bPay by Barclaycard. Each slim-line bracelet features bPay’s latest contactless flexi-chip that is seamlessly integrated into the design. The tiny chip is permanently embedded, which the makers state offers a more streamlined experience for the consumer, and with the same fraud protection as a contactless bank card. The chip works in exactly the same way as your contactless card would, so just requires a simple tap on the machine. It also works on the London Underground, and caps your spend exactly as an Oyster card would, so you won’t miss out on any savings. Tovi Sorga’s high-definition bracelets printed on quality natural leather are available now from www.tovisorga.com, retailing from £55 to £120.